Only 11 packages in stock! Description - The hook measures 14mm long by 8mm wide by 1mm thick and the loop measures 2.5mm. The ring measures 14mm long by 8mm wide by 3mm thick and the loop measures 2.5mm. 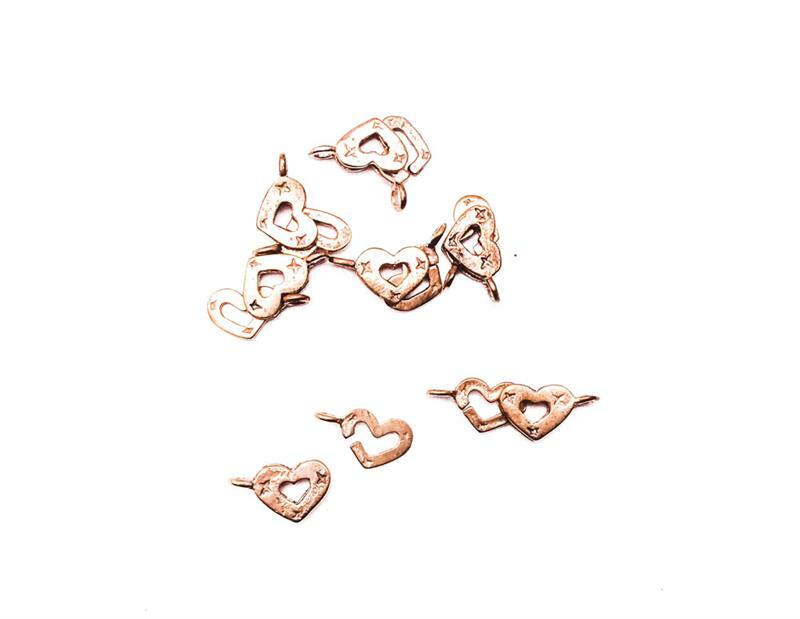 The total length of these hook clasps measures 28x8mm. The hook measures 14mm long by 8mm wide by 1mm thick and the loop measures 2.5mm. The ring measures 14mm long by 8mm wide by 3mm thick and the loop measures 2.5mm. The total length of these hook clasps measures 28x8mm. There are 10 clasps in a package. These clasps are made of solid copper and were made in Indonesia. These findings are NOT bendable.